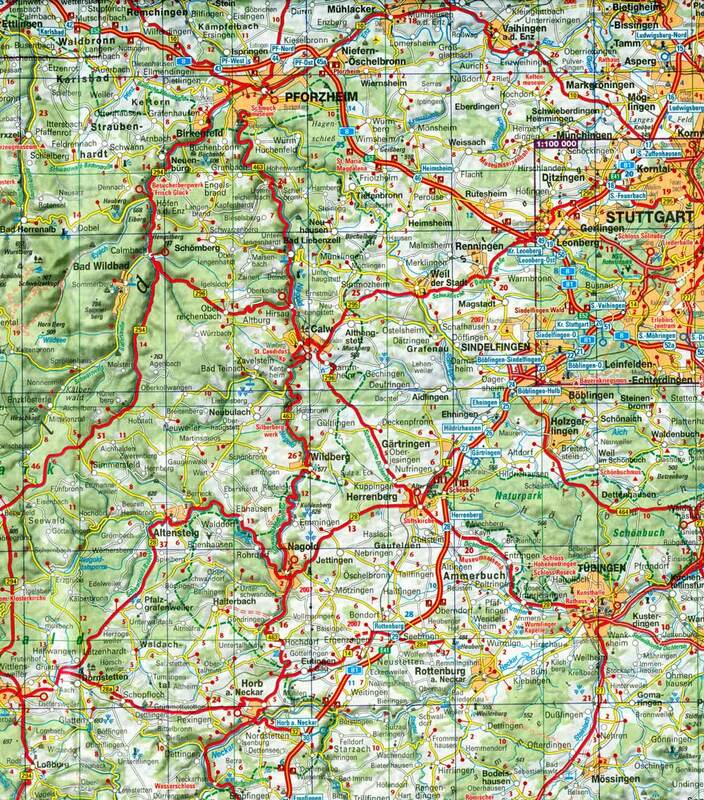 This is a modern map of that portion of Württemberg containing Unterreichenbach and extending as far south as Hallwangen. This is the northern Black Forest. Unterreichenbach is in the small square just south of Pforzheim, and east of Stuttgart. It is just off red Road 463. See the detailed view here. Hallwangen is in the lowest left corner just above the village of Dornstetten. The village of Eutingen is just north of Pforzheim immediately to the left of the blue road label "PF-Nord." The first of our Ecker ancestors in Unterreichenbach came from Hallwangen and Eutingen.